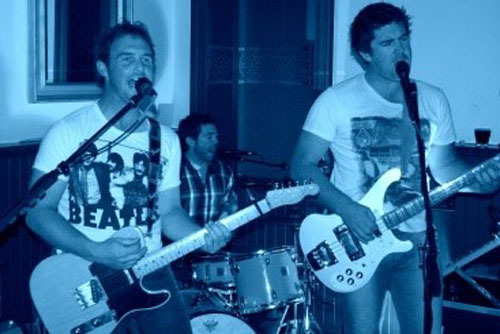 Transit is an Adelaide based cover band that formed in 2008. Playing songs from all your favourite bands of the 60’s, 70’s, 80’s, 90’s right up to the present day. Having played a range of venues the boys can cater to any setting. Whether it be providing music all night long in various pubs and clubs around town, or providing your first dance song as man and wife. They really can can please everyone. Having played alongside ‘The Screaming Jets‘, ‘Mental as Anything‘ and ‘Boom Crash Opera‘, the boys have certainly spent time with some of Australia’s most respected musicians. Each member is an accomplished musician in his own right. With all of the boys playing several instruments, they are a very talented group! Priding themselves on their flexibilty, Transit play as a Rock Band, Acoustic Duo (acoustic guitar or piano and bass) or Ryan also plays full shows as a soloist (acoustic guitar and vocals). If required, the band can supply a full P.A. system, which is state of the art and is more than capable of driving any size show of up to around 2000 people.